I upgraded to 1password 7 because version 4 didn't work with Chrome. The windows app is saying that 1password is ready only and I need to add an account or license. I have a single user license, but when I click on that option, a window opens on my vault folder, but whatever file it's looking for is not there. How do I add my license back? Secondly, is there any changes I need to make on my android app to remain sync'd with 1password 7? that is, the app is saying "READ" only..
Did you buy the license for 1Password 7, if yes you should select the license file that came in the receipt email. If not, 1Password 7 is not a free upgrade for existing 1Password 4 customers, you would still need to buy it separately. You generally don't have to do anything with 1Password for Android, it should be syncing with the same vault via Dropbox. I revered back to version 4 because I like that better anyway. Did I see something on the blogs that you can turn off some sort of parameter to get the Chrome browser extension to work with Chroma 71? I thought I read something, but I'm having trouble finding it. We didn't announce anything about Chrome 71 on our blog recently. The issue is not related to 1Password extension nor 1Password, it's the latest Chrome 72 update. It has a new code signature that is not recognized by 1Password 4. You can choose a different browser to keep using 1Password 4 like Firefox, Vivaldi (which uses the same engine as Chrome), and Brave if you want. If you want to keep using Chrome 72 with huge security risk to 1Password and your data, then you can turn off the code signature check but we cannot recommend it. You can find the option via Help Menu > Advanced. Okay, I've been battling this issue for the last several hours. You state the issue is not related to the 1Password extension or 1Password. It's that Chrome has a new code signature that is not recognized by 1Password4. So that's it?? That's where the no support for 1Password4 comes into play? Now I won't be able to use 1Password any longer unless I'm willing to risk a huge security risk??? I purchased versions of 1Password for Windows, Mac, and iOS. Yes, that's right, I paid for my iOS version then you started giving it away for free! It's not the money issue, I'd gladly pay for the 1Password7 version if it would work with my existing vault which as I understand it won't. I'm extremely disappointed!! 1Password 7 for Windows supports both standalone licenses and 1Password.com service. It means that you should be able to use your local vault in 1Password 7, even if you don't want to use 1Password.com account. Please send us a message to [email protected] and we will help you transfer to 1Password 7. Please do include a link to this thread in your email, along with your forum handle so that we can "connect the dots" when we see your report in our inbox. We have no intention to give up on you in this situation, so I will be looking forward to hearing back from you! Thanks, I understand about the upgrade and such, it's just that lots of times I don't like an upgraded version of something as much as what I'm already using. If 1Password 7 used the same type vault and I could easily revert back to 1Password 4 I'd feel better about upgrading. Another question, as stated above, I also use 1Password 6 on my Macbook Pro. If I upgrade to 1Password 7 for windows, and my data gets converted to the new type vault, will my current Mac version still work with the new vault or will it have to be upgraded also? Thanks. If 1Password 7 used the same type vault and I could easily revert back to 1Password 4 I'd feel better about upgrading. Yes, you'll be able to reuse the same OPVault in 1Password 4 but it will be slower because OPVault is using latest encryption protocols that 1Password 4 for Windows was never built nor optimized for. The other issue is that while OPVault is supported in all versions, there are features where you may not be able to use with older versions like nested tags that 1Password 7 for Windows works with but not supported in 1Password 6 for macOS. 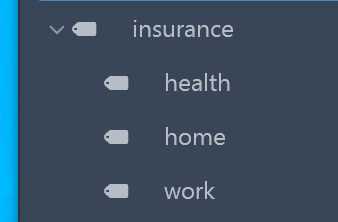 You'd still see your data, it just won't show nested tags in a cleaner UI. used the same type vault and I could easily revert back to 1Password 4 I'd feel better about upgrading. Another question, as stated above, I also use 1Password 6 on my Macbook Pro. If I upgrade to 1Password 7 for windows, and my data gets converted to the new type vault, will my current Mac version still work with the new vault or will it have to be upgraded also? Thanks. No, you don't need to upgrade the macOS version, it can use the same OPVault file.